The e-flex comp mal board has a nice shape template which flows perfectly into a rounded pin tail for excellent manoeuvrability. 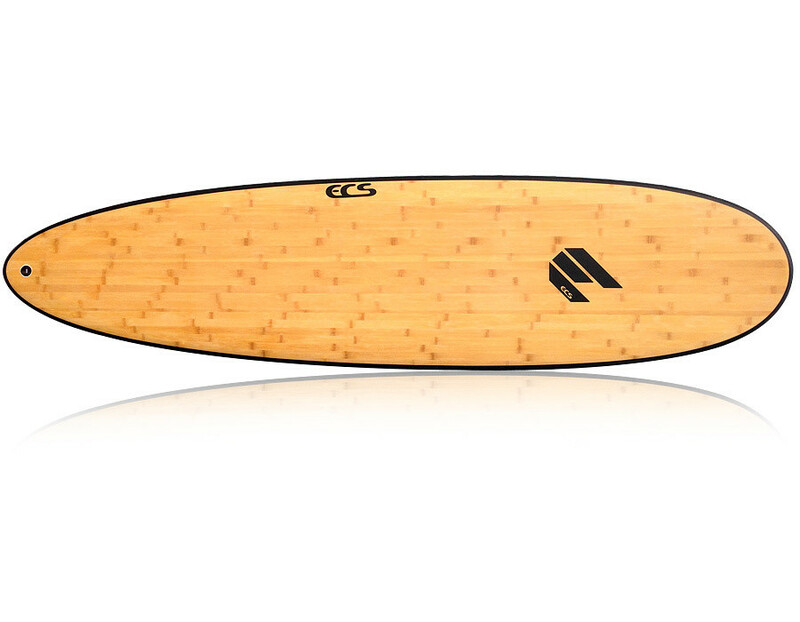 The board has a conservitive nose to tail rocker and thoughtfully foiled volume encouraging smooth trim through critical sections with ultimate control off the tip. Nose riding on this board is a dream due to the rail to rail nose concave combining soft 60/40 rail combination hardening at the tail resulting in ultra smooth turns and cutbacks. The Eflex are shaped from high density EPS foam blanks and feature sustainable bamboo vacuum sandwiched to the foam completely wrapping the rail and have ultimate compressive strength that is further enhanced with biaxial glass under the deck and finished with carbon on the outside of the rail. The boards have a nice flex pattern that you don't get with most EPS boards and are light enough to be over powered yet have enough weight for their own momentum.